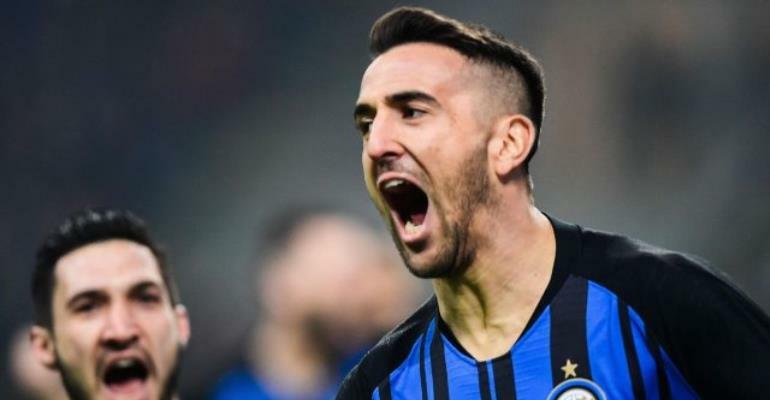 Matias Vecino broke the deadlock after just three minutes to give Inter the perfect start. It was exactly the response under-pressure boss Luciano Spalletti would have demanded following Thursday's humiliating Europa League exit to Eintracht Frankfurt. Inter did make their dominance count in the 51st minute when Stefan de Vrij's header doubled the 'away' side's lead, but only five minutes later Tiemoue Bakayoko's first goal for AC Milan - a bullet header against the run of play - gave Gennaro Gattuso's side renewed hope. Internazionale restored their two-goal advantage in the 67th-minute courtesy of Lautaro Martinez's penalty-kick after Matteo Politano was felled by Samu Castillejo, but AC Milan responded almost immediately through Mateo Muascchio's scrappy finish.